This winter is shaping up to be a regular old-fashioned one with chilly air, icy ponds, and copious amounts of snow. Like most people, I have a love-hate relationship with snow. Snow makes winter all the more enjoyable. The worst winters are spent staring out at brown, hard turf, day after day until spring brings its tufts of greenery. My favorite snow storms have large, fluffy, flakes. It’s like being in a snow globe! In Maine, we have the expected winter activities of snowboarding, skiing, snowshoeing, and skating. We can’t forget snow shoveling! Cooking is often sought out to entertain and to warm the home. With winter school vacations right around the corner, here are five fun snowy day recipes to make snow days even more fun. 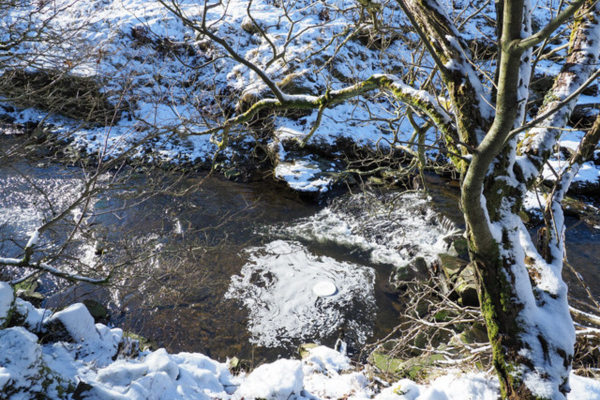 Snow Cream – This is nature’s contribution to the world of ice cream. You don’t need an ice cream maker apparatus, but you may need a little patience. This works best with the fluffy kind of flakes I mentioned. Method: In a large bowl, collect about eight cups of falling snowflakes. Stir in 1/3 cups sugar and about 2 teas vanilla or almond flavoring. Really, any flavoring will work, but these are my personal favorites. Stir in ½ cup milk (dairy or non-dairy) and ½ cup cream, until it gets to be a creamy consistency. Work quickly before the concoction melts into merely flavored, chilled half and half, although, it will still taste good. Personally, I think straight cream is the best, but it works pretty well either way. Maple Snow Taffy – This recipe is one of my favorite snow recipes! It can be made in individual bowls or on a sided baking sheet and indoors or out. Method: Gather clean snow and pack tightly in a bowl or on a baking sheet with sides to keep the whole creation from sliding right off onto the kitchen or Mother Nature’s floor. Boil 1 cup Maine maple syrup over medium heat until it reaches 240F. Remove from heat source and pour over the packed snow. Let the syrup cool a few seconds. 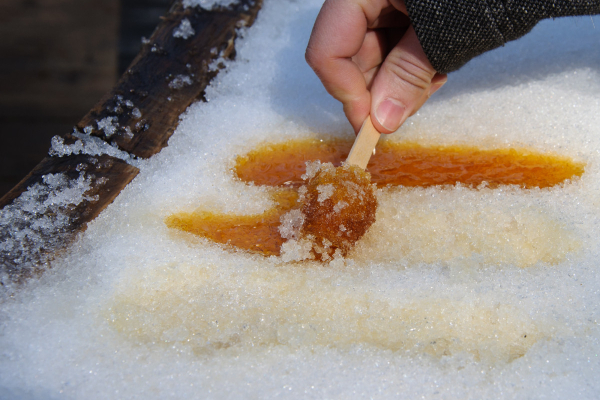 While still a little warm and pliable, pull off the snow and enjoy the homemade candy! The memory of the flavor and fun will be sure to last. If you don’t have access to snow, move to Maine or if you can’t do that, substitute crushed ice cubes for the snow. Now how fun is that?! 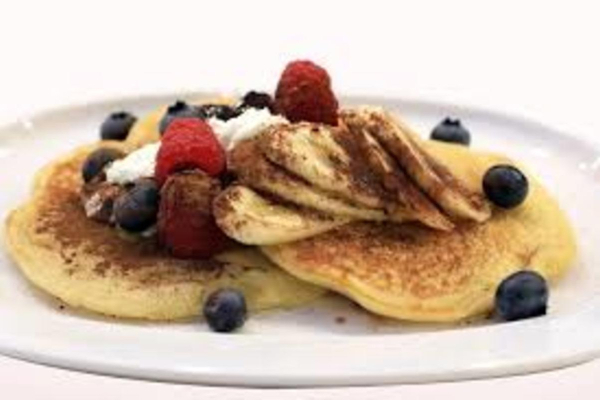 Snow Pancakes – Gramma made these as part of her Nova Scotia heritage. The snow makes the pancakes full of fun holes. They take a little longer to cook than a conventional pancake. They will be thin, but fluffy. 1 cup white snow (yes, no yellow snow, please!) Collect just before incorporating into the batter. Topping of choice – maple syrup, fruit, yogurt, etc. Method: While heating fry pan over medium heat, combine all ingredients, except for the snow; mixing into a nice batter. Melt fat on fry pan (about 1 Tbs.) Just before frying, fold snow into the batter. Drop batter by spoonful on the hot fry pan, according to the desired size. Fry until bubbles form on the surface and bottoms are golden. Flip and cook on the reverse side until the center isn’t doughy. Garnish, as desired. Arctic Blast Margarita – Yes! A snow recipe for adults. Margaritas can be enjoyed during the old winter months. Particularly, if paired with some hot, spicy foods. Method: Add all ingredients to blender. Blend on high, then pour into chilled glasses, with or without salted rim. Garnish with a wedge of lime. Serve immediately. Method: Makes 8 servings. Mash 1 ½ cups raspberries and 2 cups blueberries with sugar in a 2-quart saucepan. Stir while bringing to a boil over medium heat. Continue boiling uncovered for 3 minutes, stirring occasionally. Pour mixture into a blender and puree until nearly smooth. Pour mixture through a fine-mesh sieve and into a bowl, pressing gently, then discard solids. Cool. Cover loosely with plastic wrap and chill about an hour or make ahead and store up to one week. Spoon 3 T. of syrup over each 1 cup serving of loosely packed snow. Top with remaining berries. Serve immediately.